The book of Joshua opens with the children of Israel standing before the Jordan river for the second time in 40 years. They had been in this position before, but the last time they chose to turn around and walk away. They saw the beautiful fruits that grew there. They knew about the great abundance of food and water in the land God had promised, but they chose to focus on the problems they saw. They ignored God’s promises and saw only the giants that inhabited the land. Forty years before the story of the battle of Jericho, Moses was the leader of Israel. All the adults from the former visit to the Jordan River had died off except two men: Joseph and Caleb. These were two of the original twelve spies who had gone into the Promised Land and tried to convince the people they should trust God to give them victory over the enemy. Now Joshua leads the country in the absence of Moses. Joshua sent two spies into the land to check out the walled city of Jericho. They entered the city and met a woman named Rahab. We know from later scriptures (Joshua 6, Hebrews 11 and James 2) that she was a prostitute. The early church historian Josephus suggests that she may have also been an inn keeper which would explain why the spies went to her house. Rahab hid the men on the roof of her house when soldiers from the city came to inquire about the strangers in town. Rahab told the city soldiers that the men left before the closing of the gates and that they needed to hurry to catch the men. Rahab waited for the soldiers to leave and then she uncovered the spies. She told them what she and the people in the city knew about Joshua and the coming armies. The people in Jericho and the surrounding area were terrified of Joshua and Israel because they knew that God had promised the land to the children of Israel. Before leaving Rahab’s house, the spies promised that she and her family would be spared the coming destruction. She was to hang a scarlet thread, or cord, out her window so that the Israelite soldiers would know which house belonged to her so that they could save her. Joshua gathered the people into various groups. There were three main groups: the priests, a man from each tribe, and the rest of Israel. The priests took the Ark of the Covenant and stepped into the river. The river opened up to one side and dried up to the other. The people of Israel crossed over on dry land. Before the priests stepped away from the river, twelve men (one man from each tribe) picked up a boulder from the dry riverbed and carried it out. These twelve stones were placed in the Promised Land as a reminder to future generations of how God lead Israel out of the wilderness into the land of promise. Many things changed for Israel the day they crossed into their new home. Besides the new lush land and the promise of a permanent dwelling, the manna which they had eaten every day for forty years immediately ceased. They never ate manna again. Another change was that the practice of circumcision which God instituted with Moses had been previously abandoned by the people. Joshua reinstated it. After these changes took place in the lives of the people of Israel, Joshua got a surprise visit. He had been in communication with God (Joshua 1), but he had not had a personal visit up to this point. Joshua was deep in his thoughts looking at the city of Jericho when a man appeared before him with a drawn sword. Joshua asked a simple question, but got a confusing answer. Joshua asked, “are you for us or against us?” The answer was that the one standing before him was the captain of the Lord’s host and Joshua needed to decide the answer to his own question—was Joshua and Israel on God’s side, or the side of the enemy? Joshua answered wisely by bowing before the Lord (I believe this was a theophany—an appearance of God). Joshua pledged his allegiance to the Lord. He removed his shoes as instructed and worshiped God on holy ground. The captain of the Lord’s host explained to Joshua how the next few days would play out. Joshua was to send the soldiers of Israel marching around Jericho one time a day for the next six days. 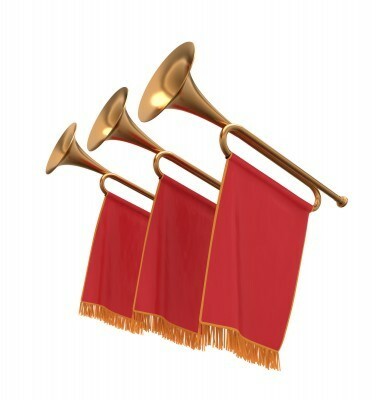 The priests were to go behind the soldiers blowing seven trumpets of ram’s horns before the Ark. Then, on the seventh day, the host was to compass the city seven times while the priests blew their trumpets. At the completion of this they were to make a long loud blast with their trumpets and all the people were to shout. … on the seventh day, the host was to compass the city seven times while the priests blew their trumpets. I can only imagine Joshua trying to explain this plan to the soldiers who were probably ready to fight. They were told that all they could do for a week was to walk around the city over and over. What happened after that was that the walls of Jericho fell down flat. The soldiers entered the city and destroyed and burned everything. The items that were saved were the items of great value that were to be offered to the Lord. No one was to take anything for themselves. This was an example of the tithe that the Bible often talks about. The first fruits of their spoils in the new land were to be dedicated to God. After this, the Bible says, that the people of Israel were allowed to personally keep all that they obtained in war. The spies that Rahab helped previously were given charge of finding her and her family. They found Rahab, her parents, her brothers and sisters, and all she possessed. They were able to fulfill the promise to rescue them. Her family lived in Israel from then on. Because of her faith in God she is mentioned several times later in the Bible. She became an ancestor to King David and Jesus Christ. The battle of Jericho was just the beginning of a new way of life for the children of Israel. By this time the adults in Israel had not experienced life in Egypt (except Joshua and Caleb). The people had only known a transient lifestyle. While they still did not have a permanent home, they were actively taking part in occupying the land that God had given to their father Abraham in a promise more than 400 years before. There are two main ways people look at the history of Israel. Some see the exodus from Egypt as salvation and the crossing of the Jordan River as symbolic of death. However, I (as do many others) like to look at the crossing of the Jordan River as salvation and the occupying of the land as the victorious Christian life. There were battles to face. There were giants to defeat. But there was also a God who was with them. A God who was leading them. Their obedience to the plan of God helped them see the victory that they had been promised. Joshua obeyed the command to take the land. He followed God’s instructions in crossing the river. He obeyed God’s strange plan to defeat the city of Jericho. Though it did not always make sense, Joshua lead the people in obedience to God. As a result they saw great victories. However, they did not always obey. The very next battle was a catastrophic failure. Because one man did not obey God, many others lost their lives. It is sometimes easy to see great victories in areas of our own Christian life and let our guard down in another aspects. We have to be vigilant to guard ourselves from the attacks of the world. Great article David and a lovely message of obedience behind it. I would just like to add that God used Jericho, to demonstrate to the Israelites and to all others, the pure power of praise and worship. Simple praises was used to tumble walls 4 story high approximately 12ft thick. We often take for granted the simplicity of salvation. I myself is guilty at times. Praise is a very powerful tool, as we can see throughout the bible, but it is often overlooked as being effective. So we often run to God in prayer, about a problem, when sometimes all God is saying is to praise me, and you will see the walls come tumbling down. Amen…Our God is good all the time. Thanks for sharing! God bless you. I learn so much from this story David….and the main thing is that the battle is the Lord’s and not ours. Well done sir. Thank you. Great story of God’s power! If we are obedient, and trust Him, He is faithful in giving us the victory!! i found information to be very useful.